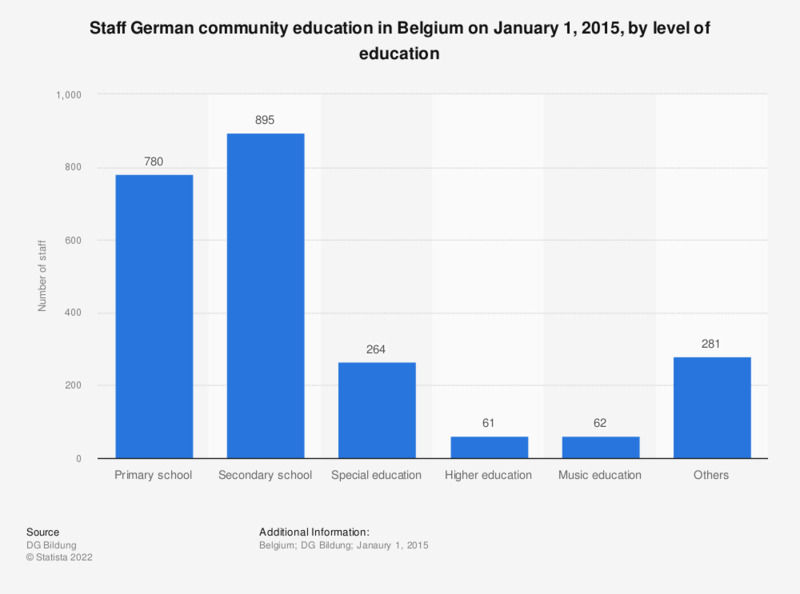 The statistic displayed above shows the staff of the German community education in Belgium on January 1, 2015, by level of education. On January 1, 2015, 895 persons worked in a German-speaking community secondary school. Tell us about the unnecessary and unproductive tasks which take up too much of your time. Where do these come from? Are you thinking of leaving the teaching profession in the next 2 years?